Steering Wheel or Lap Bars? Which Zero-Turn is right for you? 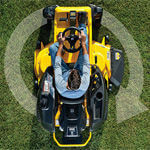 Purchasing your next mower or in some instances your first, is a decision you want to get right for the beginning. The market has gradually shifted towards a dominance by the zero-turn mowers and deciding whether a steering wheel or lap bars is the best way to operate your machine is a decision which should not be taken lightly. This article helps to inform you of the benefits of both with the reduction of time a pivotal factor in our verdict. 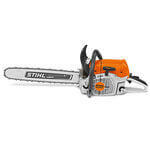 The much anticipated Stihl MS 462 C-M has hit the shelves in Australia and is marketed as the new and improved MS 461. This blog compares the notable differences between the two chainsaws highlighting the positives of both saws not just the MS 462 C-M.  It also points out that we believe that due to how different they are the saws aren't really a direct replacement for one and other with each having positives making them ideal for different consumers. Australia's last two remaining lawn mower manufacturers have joined force's for the benefit of their consumers. 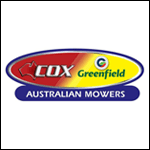 Greenfield mowers will now be manufactured by Cox in an attempt to reduce costs and improve productivity boasting benefits that can be passed down to their consumers. By reading this you will get a greater understanding of the new Greenfield range that will be available and be able to read the press release made by Cox Australia. 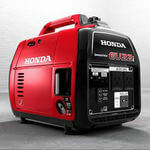 Honda has dominated the leisure generator market for years with their reliable EU20i inverter generator. Times have been changing and Honda hit the drawing board and have delivered a new and improved EU22i to accommodate our evolving needs, this review will hopefully answer any questions you have regarding the brand new EU22i. Including a comparison between the older EU20i and the EU22i, the new kid on the block. Anvil or Bypass Technology: which suits you best? 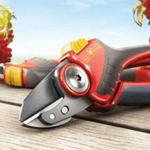 Do you actively get out in the garden and are in the market for a new set of secateurs or loppers? Well the big question is whether you need bypass or anvil technology as they serve different purposes in your garden and help to achieve different outcomes. If you’re not sure what this means or which one is right for you, this post will provide you with clarification on the matter so that you can make a more informed decision when it comes to purchasing your next hand held secateurs or loppers.